February is known for LOVE, and this month’s updates couldn’t be more fitting or timely for a month that’s all about Love! 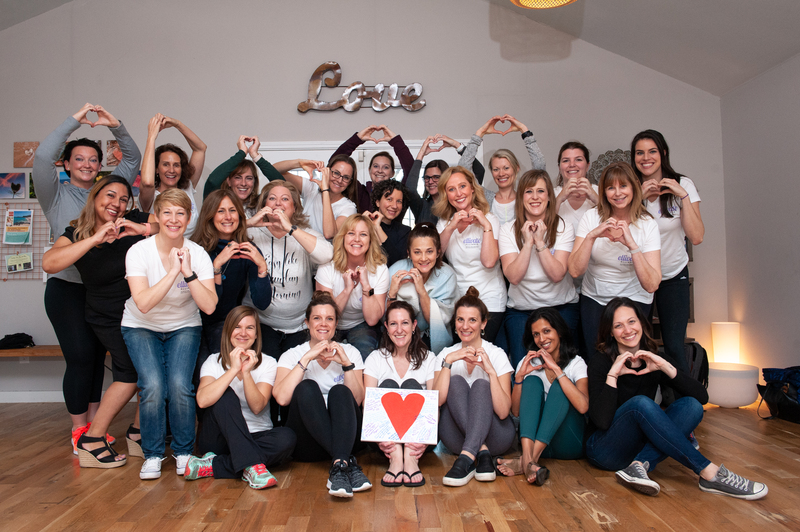 At the Ellivate Alliance, we inspire, teach and support women in building a heart-centered business from the inside out. 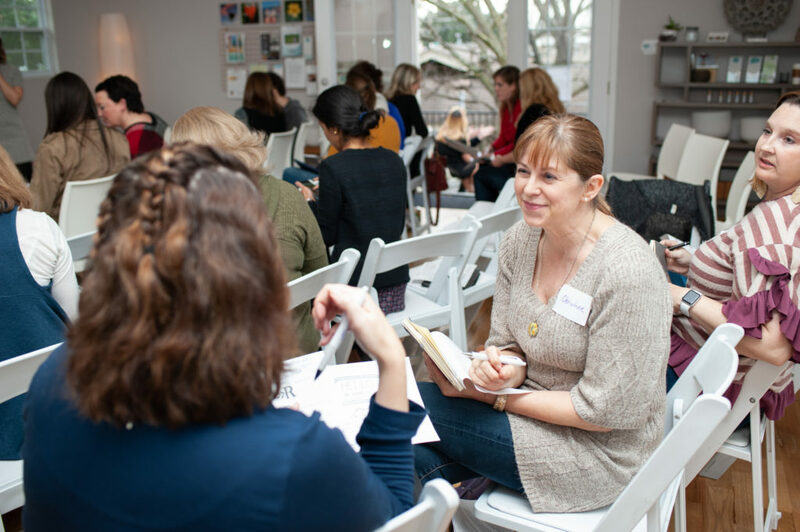 We hold a safe space for women entrepreneurs to share their challenges and provide a like-minded community that gives wisdom, ideas, support and love to move each woman and her business forward. Last month, we hosted our first-ever member conference, Ellivate EVOLVE, in Austin! 30 members gathered to intentionally evolve ourselves and our businesses from the inside out. It was a magical experience that revealed just how much we truly have evolved, individually and as a collective. This “wild idea” of the Alliance first manifested through my head and heart in early 2017 and took root in early 2018 through the creation of the Ellivate Immersion experience and Ellivate member community. Now, in 2019, the Alliance is growing up and changing the world as her own beautiful being! It was inspiring to witness the growth and connection over EVOLVE weekend and see just how far our women have come. Each new member joins us for the online Immersion experience (we host these once a quarter to welcome new members), in which the Dream Team shares our wisdom with the participants and provides a safe space and mentorship to help them apply it to their business. EVOLVE builds on the foundational power of Immersion and Ellivates our women to another level. During EVOLVE, the Dream Team provided the structure and support for members to share their wisdom with and mentor one another. The Dream Team was overjoyed to watch our members holding a safe space for one another to share authentically to move their businesses and selves forward. I felt like the epitome of a proud mother as I watched each woman stand up confidently in front of the group and make an Ask or Offer during our Pitch Your Business session. I marveled as I noticed each woman’s Ask or Offer was not only in service to her, but in service to the other women in the room as well. Truly, they are living our ideal of collaboration!! Kristi Vitali hosted us in her beautiful, warm space at Be Well Austin. Robina Bennion sponsored our happy hour and invited us all to the launch party for her new inner money coaching business on Friday night!! You can learn more about Robina and her amazing new business in this month’s member spotlight. Renee Fouquet of Clean.Fit nourished us with clean, delicious snacks for the entire weekend. Sydney Sherman and Terrell Sherman of Faire, an online marketplace for ethically sourced goods, donated a gift card for our raffle. Dena Jansen of Dena Speaks shared her voice during our kick-off and inspired us to grow through our fear to be a potential seeker! Leandra Blei took the most beautiful photographs (including the ones you see here! ), so we could capture the magic on film. Suzanne Daniels of Brentwood Social House nourished us with a delightful breakfast on Saturday morning. TJ Kinnison of Speak Your Kind, our resident writer, has graciously shared her own perspective of what EVOLVE was like for her. She puts it into words that I could never articulate, so please take a moment to read this! Alexa Bourdage helps us spread the Ellivate Love through social media and these newsletters! Each and every woman in the room showed up authentically, ready to share, contribute to and support every other woman in the room. The weekend culminated in something special that filled my cup to overflowing. The women presented me with a heart painting that each of them signed with loving words of gratitude, and then they gave me a standing ovation. It was so wholly unexpected – I was overcome with emotion and didn’t quite know what to do besides just BE there, with my hand on my heart, letting the tears flow. EVOLVE was an experience that I will cherish for the rest of my life, and I believe it changed every woman who was present in indescribable ways. I am so grateful for this powerful Alliance of strong, loving women – for who we are and who we are becoming. Each of us has a unique mission and is changing the world with love, from the inside out. After all, isn’t Love what this Life is all about?! I wish you much love this Valentine’s Day and always! !